Mission. Support Oregon and Washington Families who struggle on behalf of their Loved Ones for police accountability. Who we are. 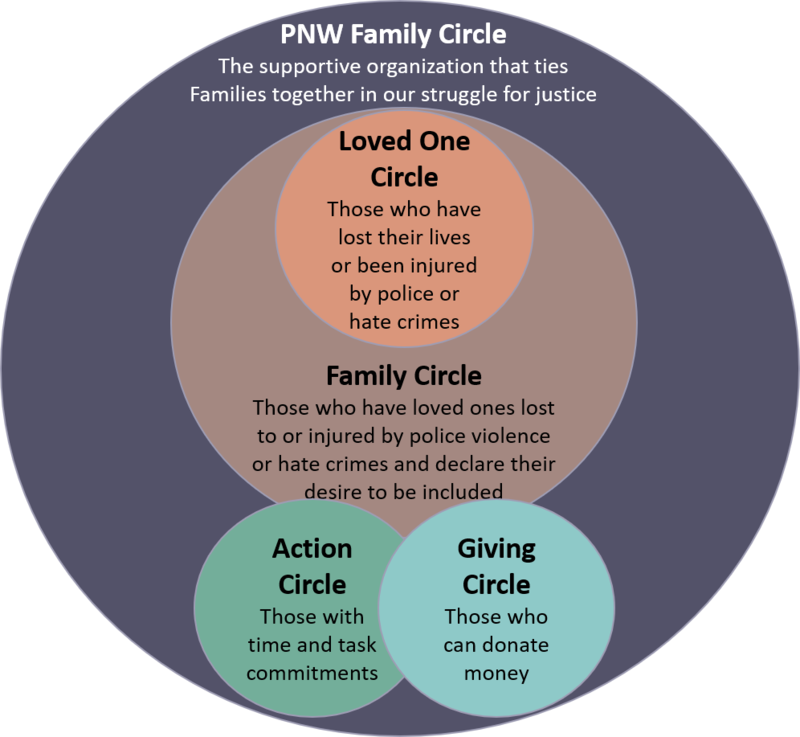 Pacific Northwest Family Circle (PNWFC) is an all-volunteer community group that supports Oregon and Washington Families whose Loved Ones were killed or injured by police officers. Who Irene is. Irene Kalonji is a Civil and Human Rights Activist and the Mother of Christopher Kalonji, who was a teenager in a mental health crisis when he called 911 for help. Instead of help, he was murdered by Clackamas County sheriffs. This killing was found justified by a grand jury who protected the police when they said they were afraid of a naked (to show he was unarmed) 19-year-old. 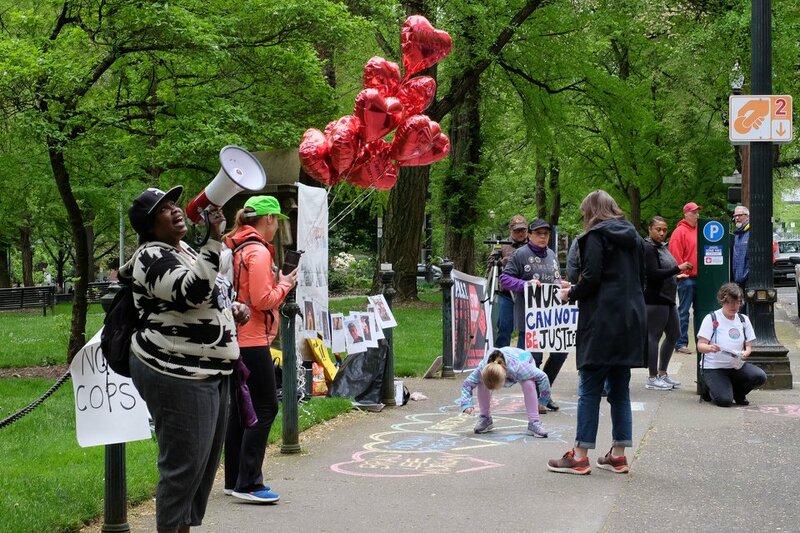 The idea of connecting Families to struggle for justice started in early 2016 when Irene Kalonji met Shiloh Wilson-Phelps who lost her son, Bodhi Phelps, to police violence in Oregon, only 4 months after Irene. Today, Irene Kalonji leads the organization as its Founder. Family Members lead by contributing ideas and efforts to further the cause of police accountability. Numerous community members follow the leadership of Irene and help carry out Families’ ideas (see “PNWFC Activities”) to educate the public and reform the justice system. Loved One Circle. This includes all loved ones who have lost their lives or been injured by police and a Family Member has declared their membership. Family Circle. Family Members affected by police violence declare their membership and willingness to struggle strategically with other Families. Action Circle. Community members may declare themselves as Members of Pacific Northwest Family Circle by committing to and following through on a task of their choosing consistent with justice struggle activities identified by Family Members. Giving Circle.This includes individuals and organizations interested in donating money one-time, monthly, or annually.